If you believe in Unicorns (and, of course, you do) then you will probably welcome a book that teaches you how to find a unicorn and, hopefully, befriend it. If you believe in Unicorns (and, of course, you do) then you will probably welcome a book that teaches you how to find a unicorn and, hopefully, befriend it. 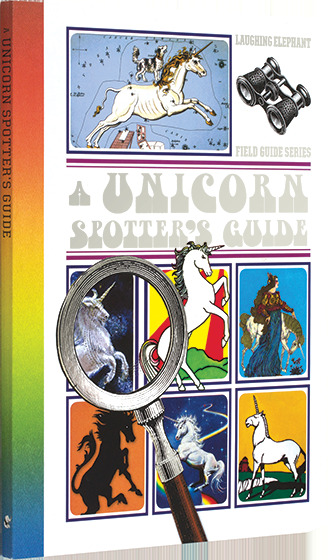 A Unicorn Spotter's Guide offers unicorn lovers of all kinds practical and actionable advice on meeting actual unicorns and getting to know them. Richly illustrated with a variety of artwork, both contemporary and ancient, A Unicorn Spotter's Guide is further adorned with inspirational quotes, poetry and prose as it relates to these fanciful creatures and magical phenomena in general.